Colorado Democrats are joining the ranks of national cuckoos by introducing their own version of a Green New Deal. The only difference, and it’s a frightening one, is the Colorado version actually has a chance of becoming law because Democrats totally control state government. 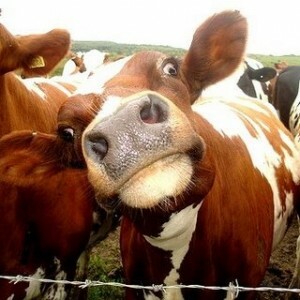 Farting cows, be very, very afraid. And unless airplanes learn by fly with windmills attached to the rear or covered in solar panels, DIA could be a relic of the past. The schizophrenic bill sponsored by House Speaker KC Becker contents greenhouse gases are causing droughts that cause forest fires and reduce snowfall threatening our ski slopes, while also producing so much rain that it floods all the time. It also manages to ignore the fact that our air pollution is wafting in from Asia. While Colorado’s emissions are a mere blip on the map of global greenhouse gas emissions, supporters of state action say it can set a model for other states. They’ll accomplish this by getting us out of gas-reliant vehicles and into electric cars that rely on coal and electricity. Then they’ll replace our electricity with windmills and solar panels, so we can only “gas” up on sunny, windy days. Or something like that. The difference between Becker’s proposal and Gov. Polis’s pledge to have Colorado 100 percent reliant on renewable energy by 2040, Polis’s promise was more of a strong suggestion to be more like California. Becker’s plan will come with real mandates that aim to eliminate the oil and gas industry altogether decimating our tax base, killing jobs, and inflicting untold economic pain on Coloradans. Just so we can be popular with our neighbors.